Spine Pad quilted khaki cloth spine pad. 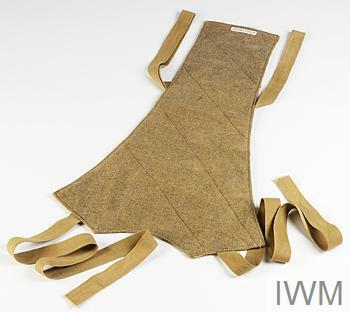 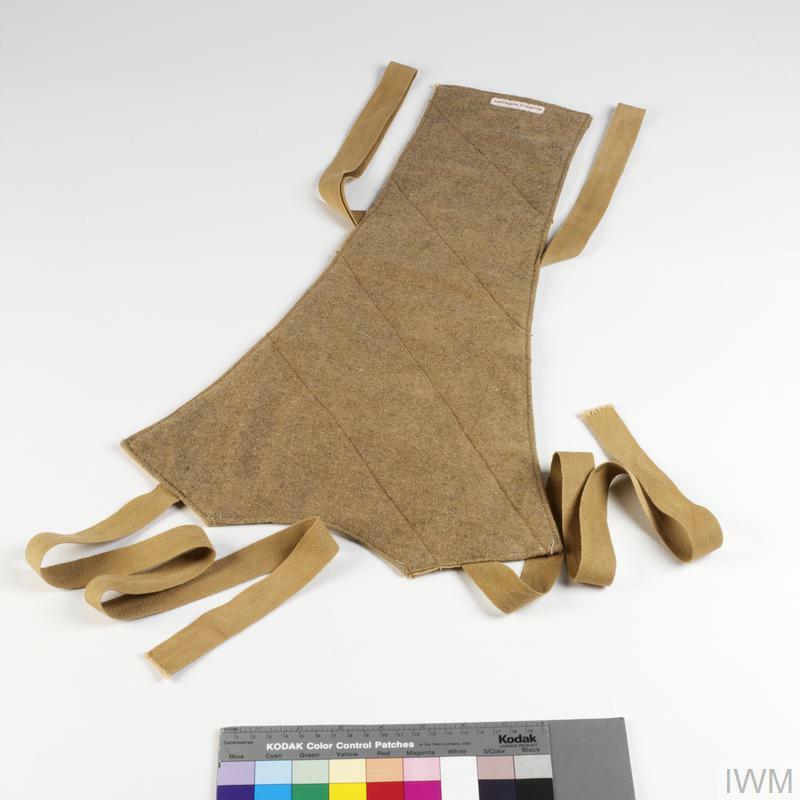 First World War period British Army issue spine pad. The pad was worn to protect the wearer's back from intense heat that was thought to cause heat-stroke.